Can Government Get Back in the Box? Can Government Get Back in the Box? Last week we met with the O’Fallon Patriots! So grateful there are people who want to fix our country. My daughter came home from her graduate school last weekend and brought another student who was from China. Her friend asked me why I got involved in politics. I can understand how difficult this may be to understand for someone who is from a Communist country, but it’s a good question for all of us to answer. The greatest reason for us to get involved is because we can make a difference! We live in a Country where our actions today will affect the future generations. This is a serious and powerful motivator. Our system is designed so that our ideas and the way we act on our ideas have an effect. As I have traveled around the district, it surprises me to see how much enthusiasm exists for our effort to challenge the status quo. The biggest reason we are having such a rise in all the out-of-control spending is that the government has gone way outside the scope of what it was originally designed to do. Everyday we are being more micromanaged and manipulated by the big government in Washington that doesn’t understand our local or individual needs. 1.) To protect our law-abiding citizens. 2.) To punish and deter law-breakers. 1.) Is this candidate qualified to hold this office? Does the candidate understand the job description in light of the proper purpose of government? 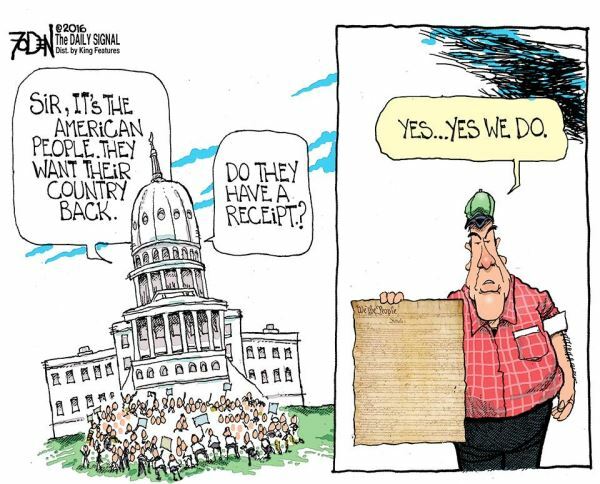 Does he understand that his oath calls upon him to defend and protect the Constitution? 2.) Is this candidate someone who fears God and understands that the oath of office means that he is inviting the wrath of God upon him should he violate his oath? 3.) Does the candidate hate greed and covetousness? 4.) Is the candidate a person of truth and integrity? Can you trust this person to be honest? I know that this election season has become very contentious with many people picking sides on which presidential candidate they are supporting. If you want to hear more about these ideas, you will enjoy our podcast this week with author and chemical scientist, Robert Andrews. 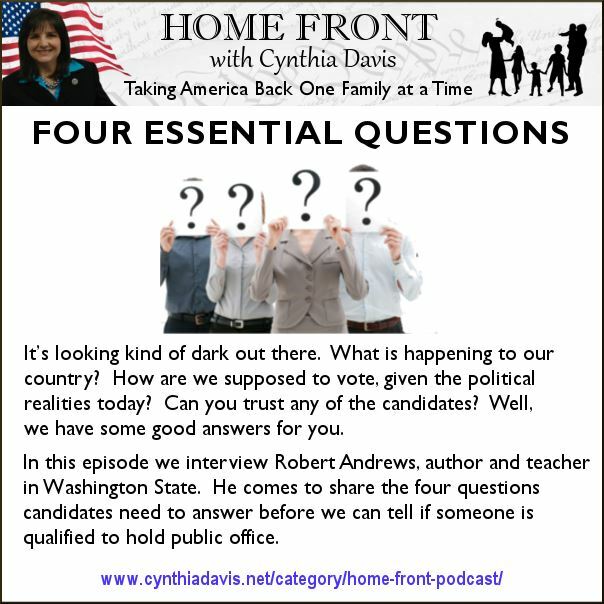 Many of the comments shared in my newsletter came from our podcast with Robert. He gives us more of his political insights in his latest book on government, The Two Edges of the Sword. 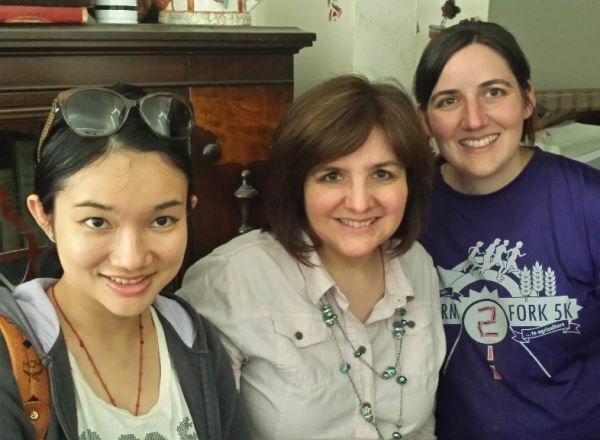 Here I am surrounded by two graduate students, Kathy Su on the left and Cathryn on the right. We had some great discussions over the weekend about Communism vs. Capitalism. 1.) I am running for Congress, however the purpose of this newsletter is to be educational. 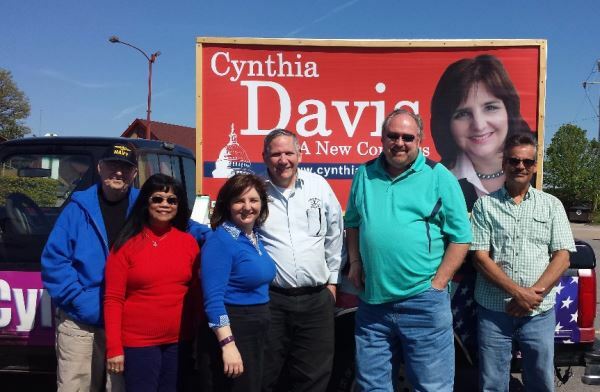 If you are interested in our campaign, if you want to donate or volunteer you can go to: CynthiaDavis.us There you can learn more about what we are doing on the campaign trail, volunteer and donate to the cause. 2.) Enjoy our podcast this week and share it with friends. It will encourage you. If you want to get a notice every time we have a new podcast, just click the highlighted button to sign up on iTunes. The candidate you described, I haven’t seen too many around recently. Our current choices — a tragedy. we agree with you totally on just about everything you espouse and thanks for your unselfish service. This campaigning is becoming embarrassing. I just typed a message and I don’t know how this site works, so I might be repeating myself. We have to get rid of Blaine and put him out to pasture and he has cost us enough. When you post Cynthia. go thru his record and tell the voters all the things he violated our Constitution on with his voting record. Especially raising the debt ceiling. That’s great! Thanks for letting me know your thoughts. There are a lot of others who feel the same way. This is why we need to fire Congress. I appreciate you for your encouragement!